To promote the equalization of opportunities for disabled people in the Philippines, within the human rights framework, through advocacy, service delivery, education, and research. ICDR-Philippines was established in the spring of 2007. We believe in the values of mutual cooperation, partnership, respect, and strong linkages and networking in creating a united voice in addressing disability issues. Poverty and disability are closely intertwined. 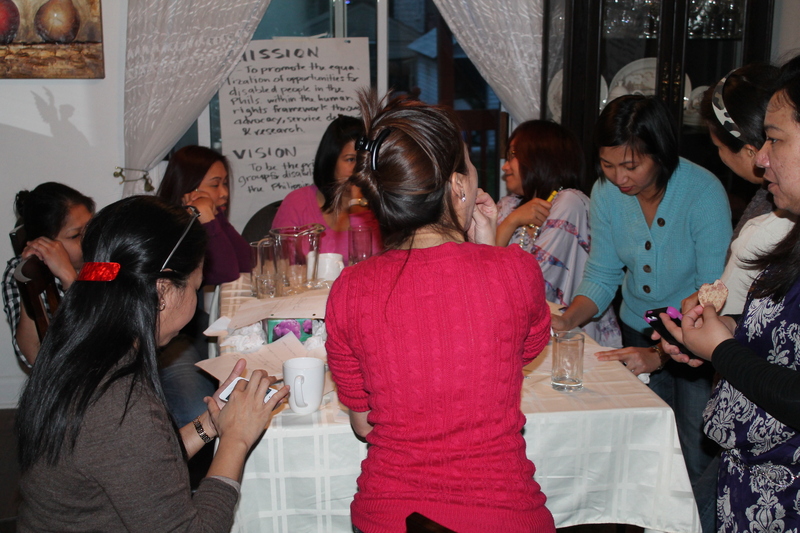 As a group, we believe in the power of developing a global partnership as a defining force for development. We commit ourselves as partners of disabled people and view disability beyond the impairment level. We understand that if real social development is to be realized, a critical understanding of social issues needs to be dissected at all levels. In the process, the full participation and inclusion of people with disabilities are only but necessary. Bethsaida CBR Services for the Disabled, Inc.
Future Vision Sighted – Blind, Inc.
Pedaling to Live and Green Shelter, Inc.
Simon of Cyrene Children’s Rehabilitation and Development Foundation, Inc.
KAAKBAY Rehab: The first non-governmental organization partner of ICDR-Philippines in the Philippines, the KAAKBAY Centre of Enablement has been awarded twice by the Government of the Philippines through its Ten Accomplished Youth Organizations (2004 & 2007). It has also been awarded by the Philippine Physical Therapy Association for its Community Service. Philippines Physical Therapy Association (PPTA): The official professional association of Filipino physical therapists, the Philippine Physical Therapy Association works with the PWG to achieve the goals of education, service delivery, and advocacy. Association of Differently-Abled Persons in Iloilo Multi-Purpose Cooperative (ADPIMC): ICDR-Philippines is working with ADPIMC on a vermi-composting project that aims to provide farmers with organic fertilizer. With its eco-friendly and sustainable nature, this livelihood project employs 15 disabled people. With the help of Dr. David Magee from the 2010 Lecture Day, the PWG was able to extend financial grant to the ADPIMPC. Consulate of Canada: ICDR-Philippines partners with the Consulate of Canada (through Consul Robert Lee) in sending rehabilitation items for the people of Cebu. The Kapansan ay Akibat sa Kaunlaran ng Bayan* KAAKBAY Rehabilitation Centre is a non-stock, non-profit organization that was formed by physical therapists in 2000. Located in the heart Davao City, the Centre is based in a subdivision accessible to public transportation (or jeepneys, in the Philippines) and offers various rehabilitation services, including physiotherapy, occupational therapy, and special education. Please click here for more information on an International placement in the Philippines. 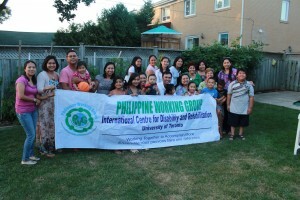 Since 2012, ICDR-Philippines has implemented the Small Grants Funding Program (SGFP) to assist the conceptualization, implementation and evaluation of disability related projects in the Philippines. Projects addressing at least one of the following three key areas are eligible: 1) livelihood; 2) education/research/advocacy (EAR); and, 3) rehabilitation services. Funding for the SGFP is primarily from the annual Lecture Day which is the signature fundraiser for ICDR-Philippines. As such, at the discretion of ICDR-Philippines, projects may be named after a participating lecturer. For more information on these projects please see information in our call for proposals, steps for funding and a description of current projects. For information about ICDR-Philippines, please contact Jeffrey Andrion.